We have tons of delinquent borrowers, and — simultaneously — a shortage of inventory. We have a 4% mortgage rate, yet lots of would-be owners no longer qualify. A recent survey showed that people think this is the worst time to sell a house … ever! When you see a property for sale, you can bet there’s a motivated owner on the other side of the negotiating table. It’s a great time to be an investor! 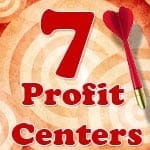 Join us and learn seven different ways an investor can profit in this market. And none of the methods count on price increases to create our margin. Rather, we’ll create the margin from the start using smart timing and the ability to locate the most motivated sellers. Craig Hill will join Bruce for an interview to discuss hard money and how investors are getting their deals done in today’s market.